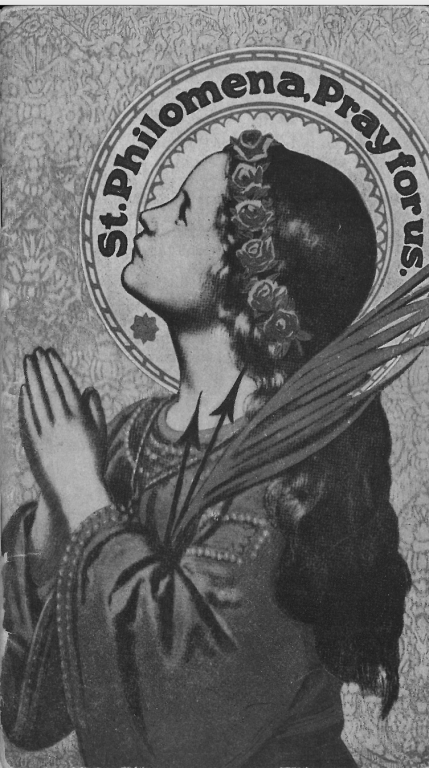 Every Friday, after daily mass, the parish says a novena to Saint Philomena. Illustrious Virgin and Martyr, St. Philomena, behold me kneeling in spirit before the throne on which it has pleased the Most Holy Trinity to place thee. Full of confidence in thy protection, I beseech thee to intercede for me with God. From the height of thy heavenly country, deign to cast a look upon thy humble servant. Spouse of Jesus Christ, console me in my troubles, strengthen me in temptations, protect me in the dangers which surround me on every side; obtain all the graces necessary for me, especially (here mention your particular intention), and, above all, assist me at my death.